According to ZDNet’s TOP 2019 Digital Transformation Trends, thought leadership strategies are driving industry innovation. In today’s digital age, a thought leader is person representing a brand who can showcase expert services, in turn, leading to validation when speaking to influential media outlets. When your brand embraces becoming a thought leader, participating with media conversations and speaking to multiple markets and audiences will influence interest from a variety of consumer groups. This is why it’s time to invest in thought leadership strategies, if your brand is looking to attract users, investors, venture capitalist or market traction in 2019. The most influential tool supporting thought leadership campaigns is social media. Determining the correct channels to focus on, while growing a real-profile, highly engaged audience is key to advertising PR. Often, thought leadership editorials can be sited for days, months or even years, influencing Google and other search engine ranking algorithms. Thought Leadership editorial can add a fresh approach to your current marketing campaigns to impact media trends to fuel your sales cycles, when executed correctly. When wanting to attract targeted investors, thought leadership is key in building trust, validation and interest. This security ultimately leads to trust. Once you earn trust from consumers and investors that’s when your business will flourish. 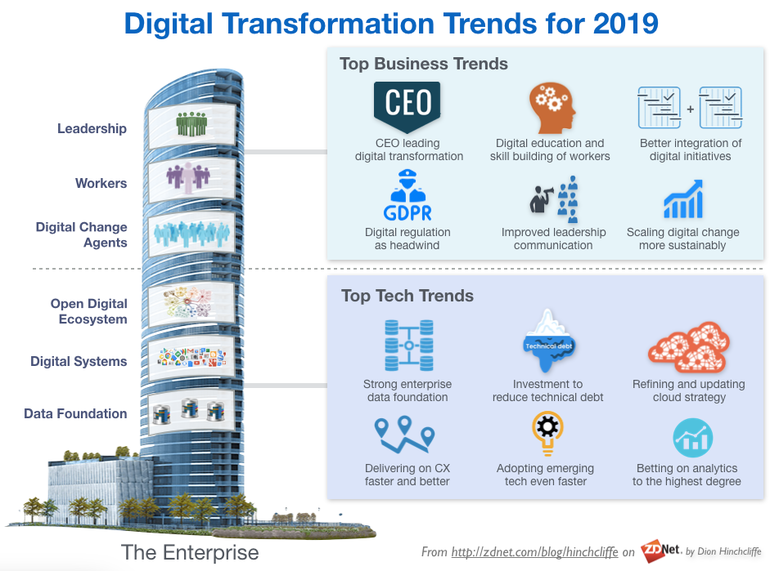 ZDNet’s TOP 2019 Digital Transformation Trends ranks thought leadership strategies high on the list of strategies driving industry innovation. We are creating change agents, as with many of our clients, who are influencing the C-suite in every sector. From topics that range from GDPR, enterprise data foundation, emerging tech adoption and refining cloud strategies, our clients are featured regularly in leading publications who are focused on these 2019 leading trends. The trend we are focusing on as an agency are Betting on Analytics To The Highest Degree, as with leading PR industry software, we are easily able to track and trend activities and objectives to ensure we are meeting expectations and deliver return. Whether your an established brand or a startup, building trust and becoming a change agent will drive the media profiles for your CEO’s, executives or managing partners to influence decision makers. The media wants to speak to brands about trends in multiple markets, especially when they are influenced by disruptive technologies. Thought-leadership strategies have already attracted PR, funding and awards for our clients in 2018 and it’s set to double in 2019. If your brand wants to grow audiences, users or investment in the next year, it’s time to start preparing today. Campaign strategies must consider all marketing and sales objectives to determine the best methodologies to influence return. Our clients are recognised by publications and awards for the success of their campaigns. Tech influencer and Microsoft founder Bill Gates has said, “If I was down to my last dollar, I would spend it on Public Relations.” And although we don’t necessarily recommend this strategy, we understand his philosophy. In part to ensure success, brand leaders must communicate validation to build trust for both business investors and the consumer. What to learn more about our Thought Leadership Campaigns?